Katherine Simonds Dhanani ’81 has been nominated by President Barack Obama to serve as the first ambassador to Somalia in over 20 years. Dhanani received her B.A. in economics from Kenyon and later went on to earn an M.A. in economics from MIT. She has served in the State Department since 1990, holding posts in India, Mexico, the Democratic Republic of the Congo, Zambia, and Guyana. In 2013 she was named director of the Office of Regional and Security Affairs in the Bureau of African Affairs. The U.S. embassy in the capital of Mogadishu closed in 1991 as civil war ravaged Somalia. If confirmed, Dhanani will begin working out of Kenya until the U.S. is able to construct a secure facility in Somalia. Read more about Dhanani in an article from allgov.com, available here. The Thrill received this letter from Kenyon alumna Sue Corral ’93, a classmate of Venezuelan political prisoner Leopoldo López — we’re running it in an effort to encourage the Kenyon community to support his mission. 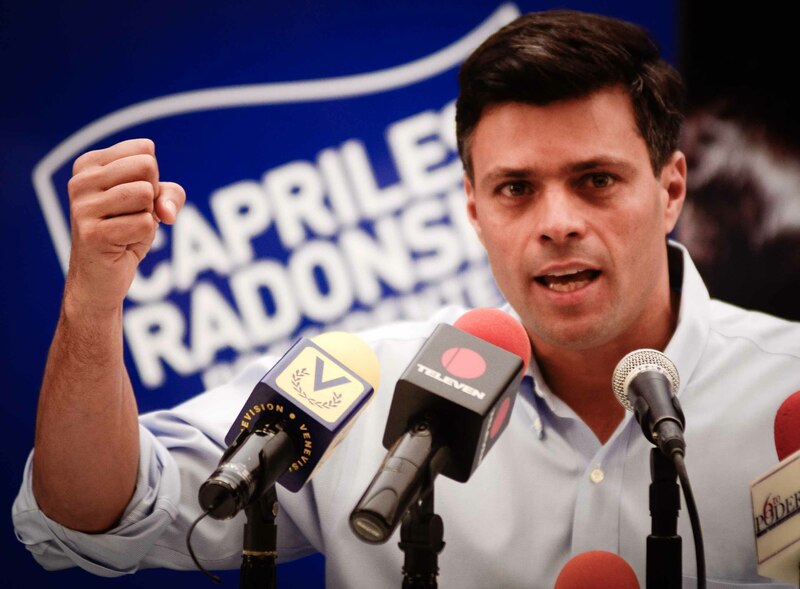 Read on to learn how you can help the “Free Leopoldo” campaign. 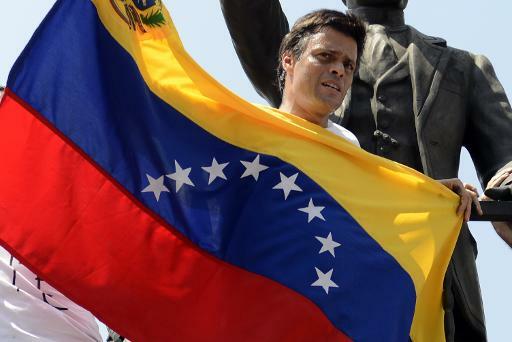 Our schoolmate and friend, Leopoldo Lopez, has been working tirelessly for years to ignite change and government reform in his home country of Venezuela. He is fighting for his belief in democracy and his dream of a free and democratic Venezuela. This is not surprising to those of us who spent time living and learning with him on The Hill. Leo was an intense and engaging student, a uniter, a strong leader (ASHES) and a risk taker. He has always believed in the power of protest and taking a firm stand, even in the face of consequence. On February 18th, Leo was arrested by the government for leading a peaceful protest. If convicted, Leo faces ten years in prison. His arrest is illegal, unconstitutional and against every principle of human rights. His unjust jailing, which has sparked worldwide reaction, is a clear attempt by the Maduro government to silence dissent and freedom of speech. Like most normal people, I generally ignore the ads that invade my viewing space on websites, especially sports websites. But there’s one ad that’s worth the time and deserves more than a fly’s worth of attention span. 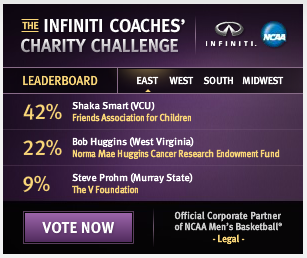 On espn.com, beneath the headlines, is a small purple box labeled “Infiniti Coaches’ Charity Challenge.” And, WHAT, Shaka Smart ’99, Virginia Commonwealth University’s head coach, appears to be winning this challenge? Well, let’s check it out!